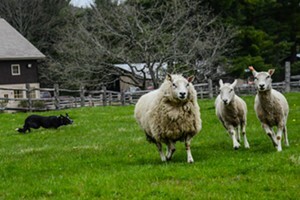 Sheep Shearing & Herding | Billings Farm & Museum | Science & Nature, Nature & Science | Kids VT - small people, big ideas! Young farmhands watch as Southdown ewes get haircuts and border collies herd sheep in the fields. Fiber and hands-on carding demos and tours of the operating dairy farm round out the day.